Flinders Ranges Odysseys, part of the SeaLink Travel Group, has released the 2019 departure dates for their much sought-after four day/three-night, Flinders Ranges Outback Tour. To keep up with the growing demand, this amazing tour will now depart every Friday from March to November 2019. This popular tour discovers the spectacular and rugged scenery of Wilpena Pound and the magnificent Flinders Ranges, the largest mountain range in South Australia. “The positive feedback we've had for this tour has been astounding. 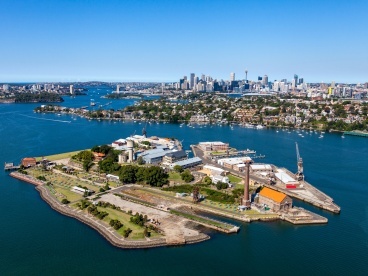 We only launched in mid-2018 and already due to the tours popularity we will now be operating weekly from March 2019.” Said Donna Gauci, SeaLink, Chief Marketing Officer. “There really is no place like the 540 million-year-old Flinders Ranges and our Flinders Ranges Odysseys tour gives our guests the ultimate outback discovery experience.” Continues Ms Gauci. The four-Day Flinders Ranges Outback Tour includes all meals, touring and exclusive accommodation. The tour explores the Flinders Ranges in luxury air-conditioned Mercedes Benz vehicles, accommodating small groups of up to eight people and accompanied by a personal local tour guide. Accommodation for the first two nights is at the award-winning Rawnsley Park Station in luxurious Eco Villas or cosy one-bedroom Holiday Units and one night at the famous Prairie Hotel at Parachilna. Departing from Adelaide day one visits the incredible Kanyaka Station Homestead Ruins before arriving at Rawnsley Park Station. That evening enjoy a two hour 'Sunset on the Chace' tour. Witness a picturesque Flinders Ranges sunset overlooking the stunning Chace Range, while enjoying a glass of sparkling wine and gourmet canapes with Wilpena Pound providing an amazing backdrop. Then indulge in a two-course dinner at the authentic Australian converted woolshed – The Woolshed Restaurant. Day two begins with a guided daybreak loop walk to Rawnsley Bluff, followed by a cooked bush breakfast before spending the day touring Wilpena Pound and the southern Flinders Ranges taking in the local sights and picturesque gorges. A mind-blowing optional early morning scenic flight over Wilpena Pound is also available at an additional cost and provides the ideal way to gain an appreciation of the scale and grandeur of Wilpena Pound. Dinner that evening is a sumptuous four-course Lamb Tasting food experience with matching wines hosted by Rawnsley Park's Farm Manager. Day three departs Rawnsley Park Station for a quick stop at the small outback copper mining town of Blinman, before traversing through the beautiful Parachilna Gorge and arriving at the Prairie Hotel. Acknowledged as Australia's #1 Outback Hotel, the Prairie's food menu has been recognised as 1 of 20 “unmissable outback experiences”. At the Prairie Hotel indulge in their Signature Antipasto Platters for lunch, before visiting the Nilpena Station Ediacaran Experience. This fascinating tour includes seeing the working Cattle Station, red sand dunes and the Ediacaran Fossil Site, featuring fossils that are over 500 million years old. Finish the day with sunset drinks and canapes followed by a stunning two-course A-La-Carte dinner at the Prairie Hotel. On the final day of the tour depart Parachilna for Adelaide, stopping at the old railway township of Quorn, before continuing to the charmingly secluded Clare Valley, for some wine tastings and lunch at the family owned Paulett Wines Cellar Door and Bush Devine Café. The four-Day Flinders Ranges Outback Tour starts from $3184 per person and includes all accommodation, meals, morning pick-up and evening set-down at selected Adelaide CBD hotels, personalised touring, expert commentary from a local driver/guide, all entrance fees and special permits and all activities. SeaLink Travel Group is one of Australia's most dynamic travel companies, bringing the nation's best tourism and transport experiences to the world. With more than 1,600 passionate staff across the country, we deliver fantastic services to more than eight million customers annually. With a vessel fleet of 80 and a coach fleet of 62 vehicles, our Adelaide-based company has undergone a remarkable period of growth, emerging as a significant player on the national tourism and transport scene. 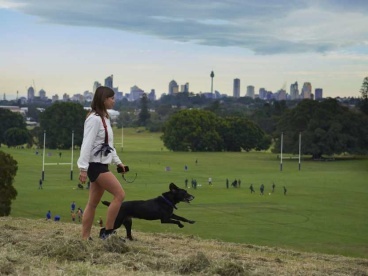 SeaLink successfully listed on the Australian Securities Exchange in October 2013 (ASX:SLK). Is Adelaide Wrecker the Best Place to Sell my Old Car? Why People Use Buyers Agents. 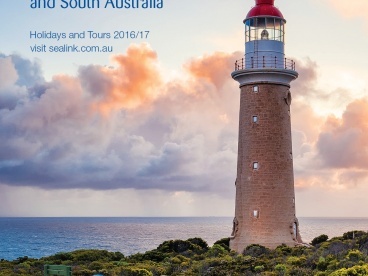 SeaLink's New Kangaroo Island Brochure is a Travellers Delight!